Who is DAR? The Daughters of the American Revolution. Go to their website to learn more about this philanthropic organization. Click on www.dar.org and explore! The link below has a list of recommended readings to build your background information about the American Revolution. 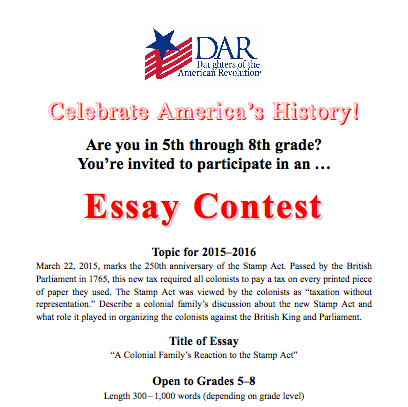 These two documents below give you more information about the DAR American History Contest.